Doral bathes in the soft sunlight at his alma matre. Always dress appropriately for meetings! Old photo of the lizard in hir Accounting class. 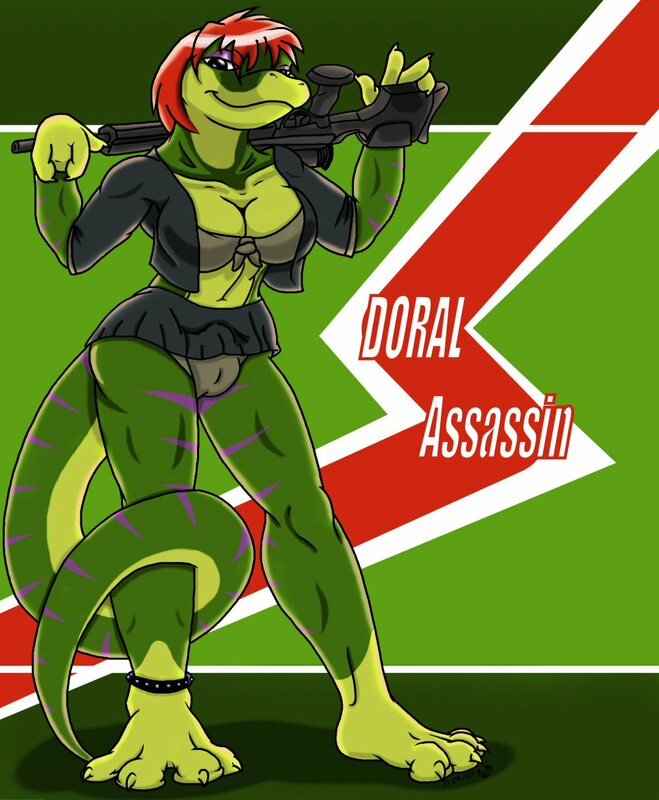 Doral always enjoys posing for..., let's say, a charitable cause. On ocassion, Doral donates hirself for new scientific discoveries! We always support healthy competition! If they can support us. Giving back to the community! It's what we stand for. Doral never goes to a meeting unprepared. Doral also teaches part-time, and has a solid relationship with hir students. Close ties to one's graduate school is of the uptmost importance. Cosplaying! Business is business, but Doral loves having fun. Like you. Fitness and well-being is very important to your insurance and your health. FCC-rejected billboard. Our lawyers are still working on this. Doral also freelances as a model for the burgeoning fashion community. Doral wears something bright to liven up those Mondays.